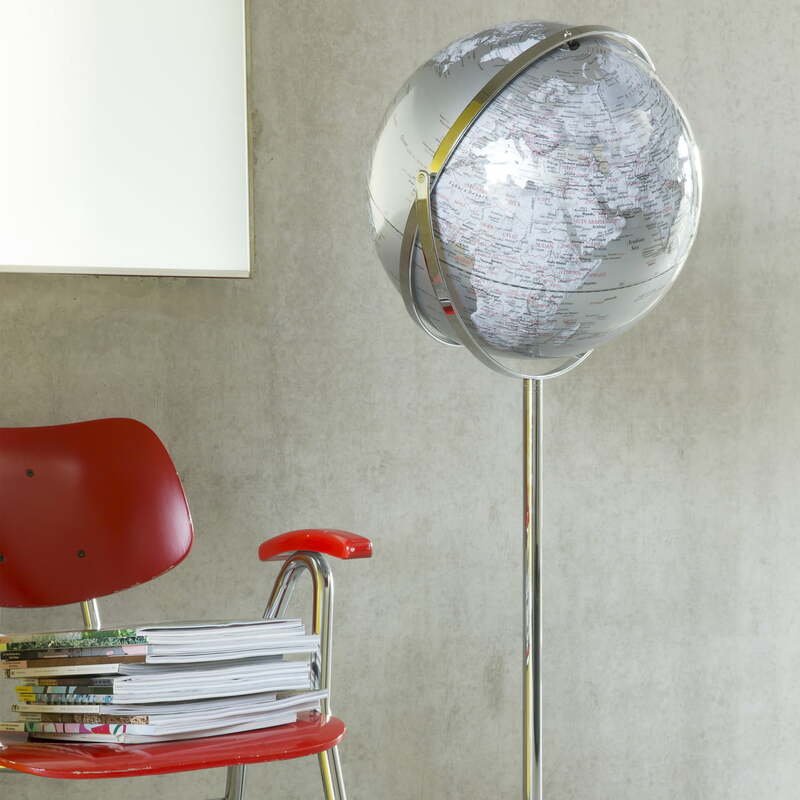 The Floor Globe Apollo by Lutz Gathmann for emform is a special highlight in every room. 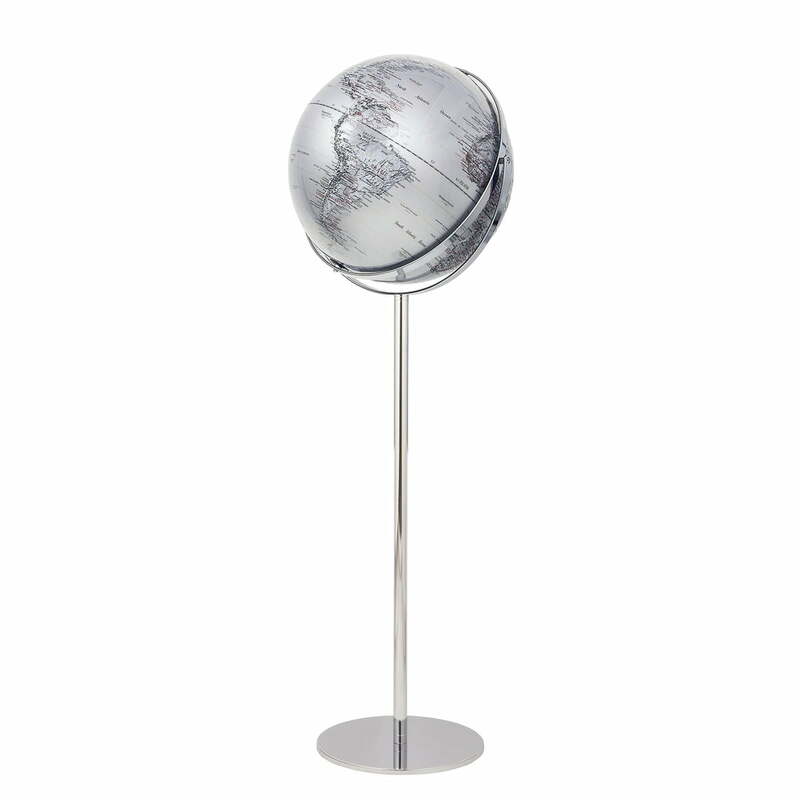 With a height of 130 cm, the aluminium base holds the plastic globe in a decorative way. It looks great in prestigious rooms such as offices or reception rooms and also becomes an eye-catcher in your own living room. It is also a high-quality gift. All places and countries on the globe correspond to international English destinations. What makes it special? All the mountains can also be "felt" in relief. This gives the globe a special depth and three-dimensionality that invites you to discover countries for hours. The floor globe has two axes so that it can be moved in all directions. Apollo by emform is available in different colours. All places and countries on the globe correspond to international English destinations. What makes it special? All the mountains can also be "felt" in relief. What makes it special? All the mountains can also be "felt" in relief. This gives the globe a special depth and three-dimensionality that invites you to discover countries for hours.